Tai chi, an ancient martial art form, has multiple health benefits for the elderly and may be the key to improved health care for the older population. Tai chi is a form of exercise originating in China. The martial art is all-encompassing, engaging the mind and body simultaneously. While there are sub-categories of the exercise, all largely cover the following aspects: controlled breathing, channelling internal energy, meditation, and mindfulness. Due to its multifaceted nature, tai chi carries several health benefits. Multiple research studies have identified medical improvements in seniors as a result of practising tai chi. Allowing elders to participate in tai chi can revolutionize seniors’ health in the following ways as determined by research studies. Seniors are prone to falls, which can lead to severe outcomes given the fragile nature of the human body at an older age. It was previously reported that the United States allocated over $1 billion of healthcare expenditures to medical consequences of accidental falls in the elderly population for a three-year period. Due to the long-standing prevalence of this physical disadvantage, the ability to decrease the rate of falls would reduce negative health implications for the elderly. Research published in the Journal of the American Geriatric Society determined that elders who actively practice tai chi are less likely to experience imbalance and falls. The contributors compiled data from ten prior research studies and created a data set comprising of 1500 individuals between the ages of 56 and 98. The study concluded that individuals who engaged in one-hour tai chi sessions up to three times a week and at least once a week had a 43% reduction in the likelihood of falling. Although the study was only able to determine a decrease in falling frequency and severity for the short-term, it provides sufficient data to sustain the claim that tai chi can benefit the elderly and reduce health risks. As the body ages, cognitive function deteriorates, leading to cases of dementia, impaired reasoning, and other brain-related conditions. Over time, elders develop mild cognitive impairment which is identified by difficulty in carrying out daily activities. A Chinese study published in BMC Geriatrics tested the effects of tai chi in cognitive properties of older individuals. A sample set of 160 participants was collected from community centres across the city of Hong Kong. The experimental group was exposed to 16 weeks of tai chi classes. Each lesson lasted one hour. The control group was devoid of any exposure to tai chi. The results favoured the experimental group and suggested that tai chi enabled improved cognitive function in older individuals. Although further quantitative research is required to solidify these findings, the results provided significant evidence towards the cognitive benefits of tai chi for the elderly. The frequency of musculoskeletal pain increases with age. As the muscles and bones weaken, seniors often experience chronic pain in those areas as well as in ligaments and tendons that connect bones and muscles. Chronic pain is also associated with other conditions that arise during old age such as impaired cognitive function and immobility or imbalance. Physical exercise is a common recommendation for reducing chronic pain, however, older individuals are obstructed by engaging in intense physical activity. As a result, tai chi’s slow pace and mental focus are ideal for an older audience. A study published in Aging Clinical and Experimental Research investigated the effects of tai chi on chronic pain occurrences in older individuals. The participants included in the study were at or over 65 years of age. The study offered a 12-week tai chi program consisting of two one-hour sessions per week. The participants were not required to attend classes. The study utilized this optional mechanism to assess whether the elderly, who experienced chronic pain, were inclined or willing to practice tai chi. Participants who accepted the offer of tai chi lessons experienced less chronic pain after the 12-week session. These participants also reported less fear of falls. The optional nature of this study determined positive results and suggested that tai chi may be a favourable solution for the elderly with chronic pain. 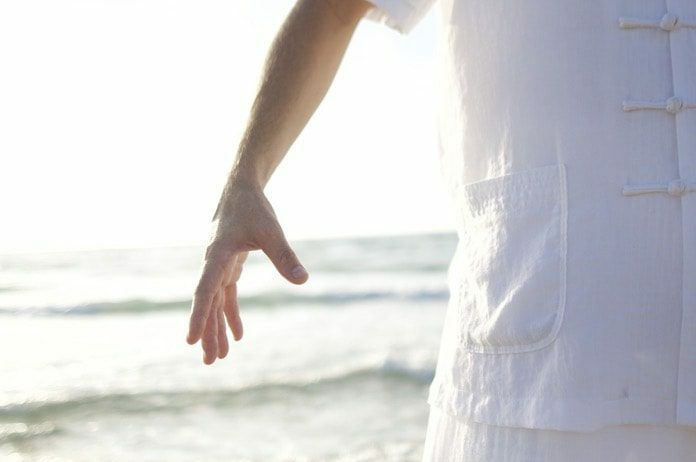 Although the research consisted of a concise sample size, it successfully presented results supporting the benefits of tai chi in reducing chronic pain. Fibromyalgia is an understudied condition comprising a wide array of symptoms. These symptoms range from body pain, lack of concentration, anxiety, depression, and fatigue. As there is no identified cure for fibromyalgia yet, treatments are catered towards controlling the symptoms. 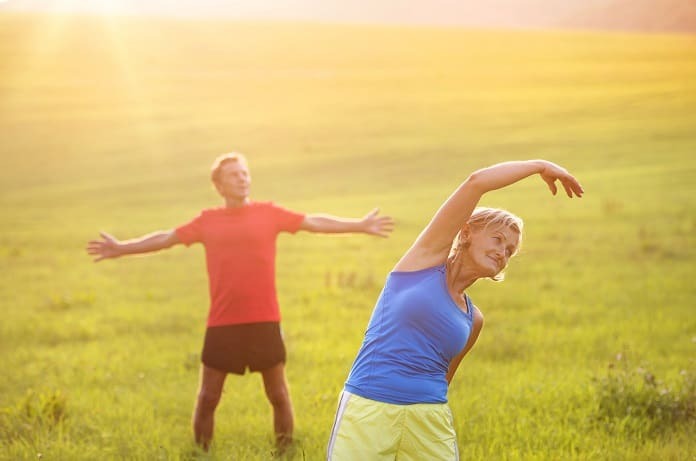 Medical professionals recommend aerobic exercise for patients suffering from fibromyalgia, however, older individuals experience difficulty engaging in high-performing activities such as aerobic exercise. Tai chi may be a reasonable substitute for the elderly. A study published in the British Journal of Medicine assessed the effects of tai chi on treating fibromyalgia in a cohort of 226 patients. The sample size was divided into five groups where one group was assigned to an aerobics class lasting 24 weeks. The remaining groups were assigned to tai chi lessons at varying intensities and frequencies. In comparison to the aerobics group, researchers found that tai chi participants experienced greater improvements with respect to fibromyalgia symptoms. The lowest frequency and intensity group was at par with the results from the aerobics group. The results of this study not only highlight a fitting alternative to aerobic exercise but also suggest that tai chi may be a more efficient form of treatment for fibromyalgia. Due to the dual physical and mental nature of the symptoms of fibromyalgia, tai chi’s focus on mindfulness as well as physical activity aligns well with the exercise needs of fibromyalgia patients. Age has a toll on all aspects of human health causing higher health-related expenditures for families as their members get older. Due to the fragile nature of the body at an older age, it is necessary to take preventative measures for a better quality of life. 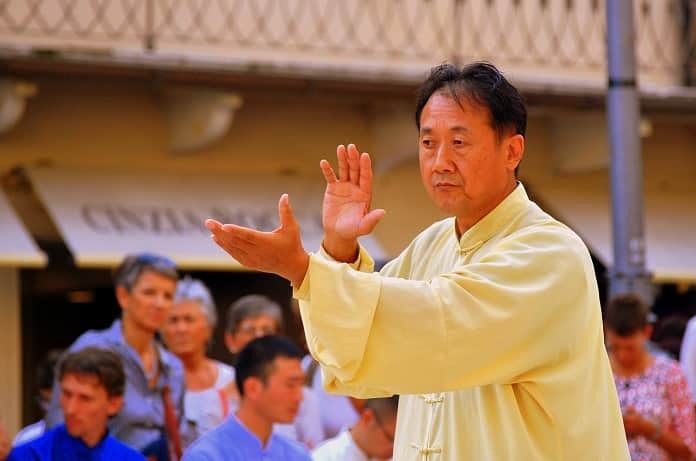 Tai Chi’s whole-body approach serves as a beneficial and efficient form of exercise for older individuals attempting to maintain overall health, mental and physical. A study published in the Journal of Neuroimaging utilized magnetic resonance spectroscopy, an imaging technique, to quantify the effects of tai chi on the brain and muscles. The research comprised of participants aged 55 or older with no prior exposure to the art of tai chi. 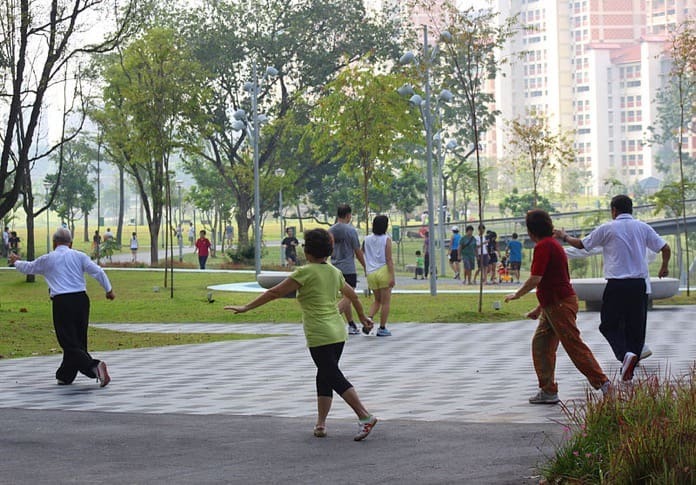 12-week tai chi program was administered to each participant willing to enrol in one-hour sessions two times a week. The contributors recorded brain and muscle imaging scans prior to, and post, the tai chi intervention. Results of this study indicated that tai chi may have an impact on increased neuron protection via neuroplasticity as well as improved oxidative capacity in muscles. Despite the small sample size, the promising results of this study suggest an improvement in brain and muscle activity as a result of tai chi. These results are valuable for older individuals working towards maintaining overall health.